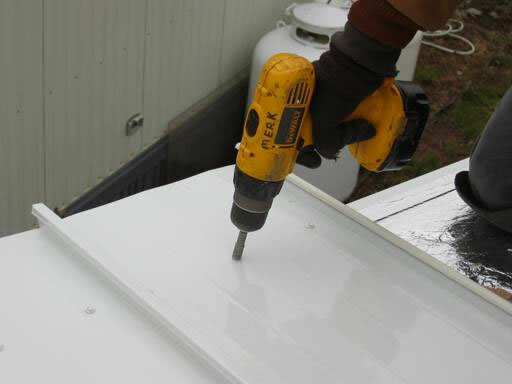 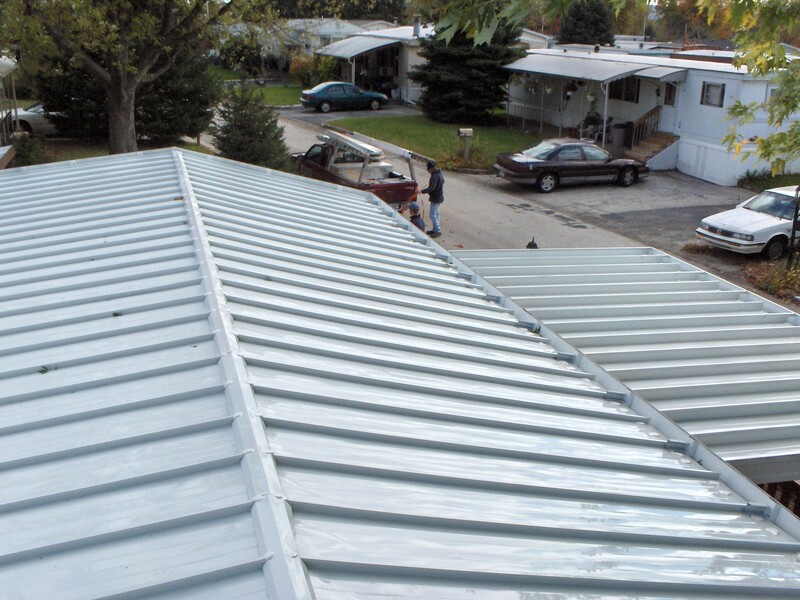 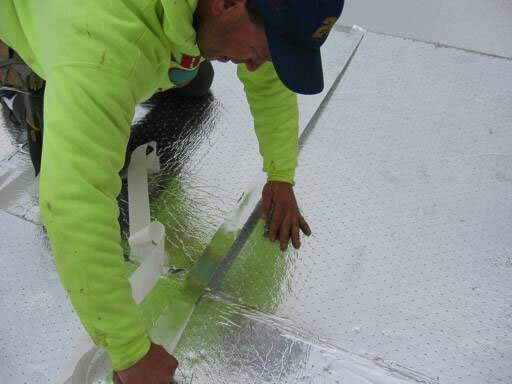 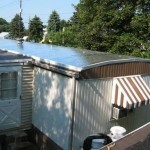 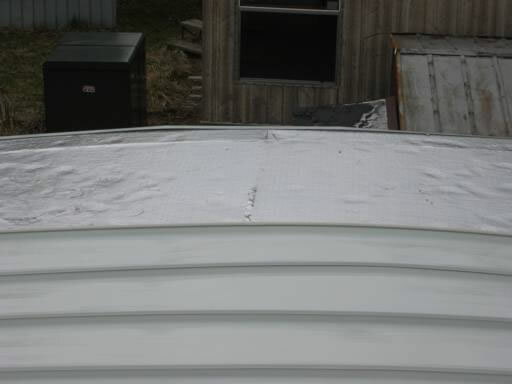 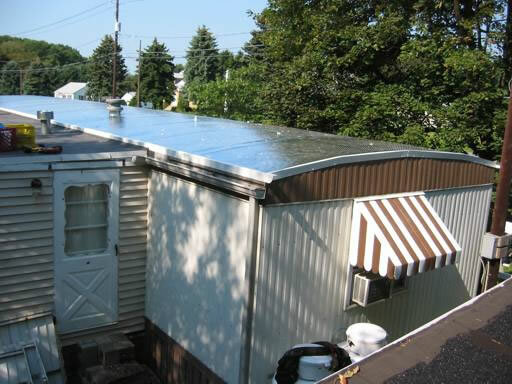 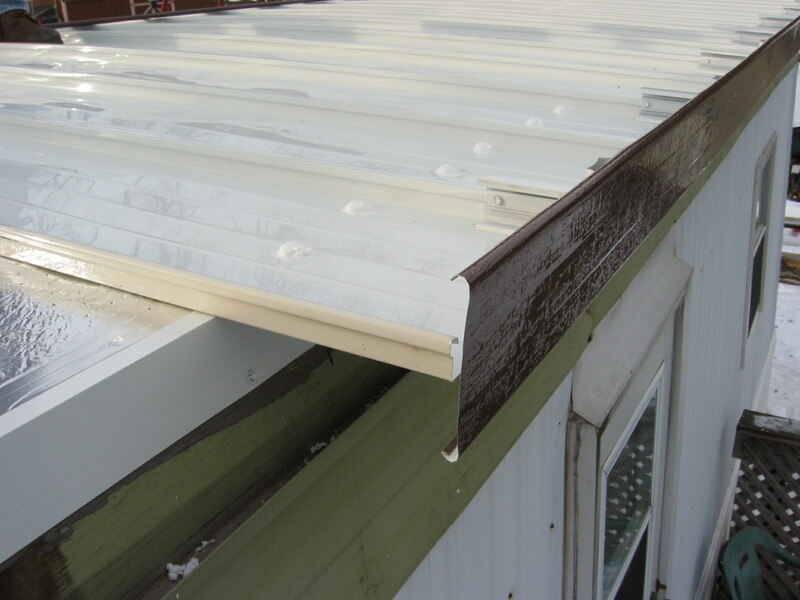 Our maintenance-free new mobile home roof system features two inch thick double foil-faced poly styrene insulation applied to the entire roof. 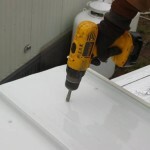 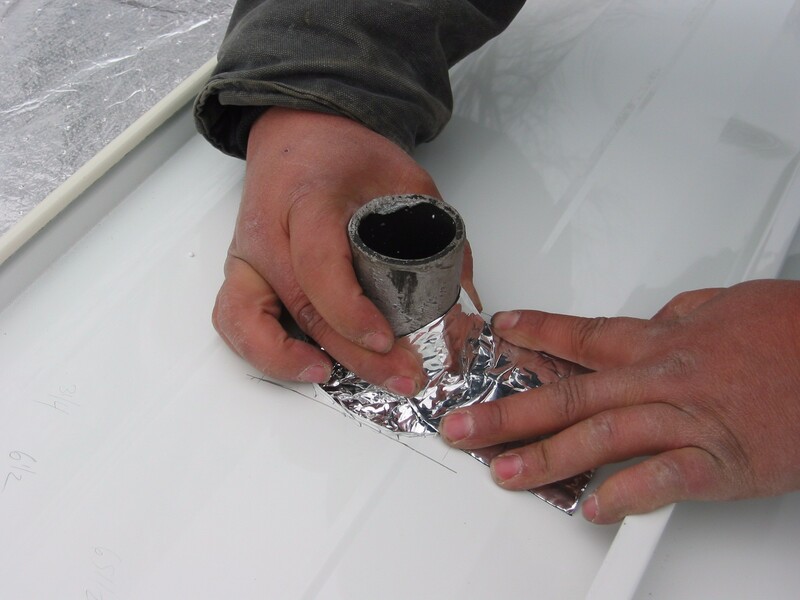 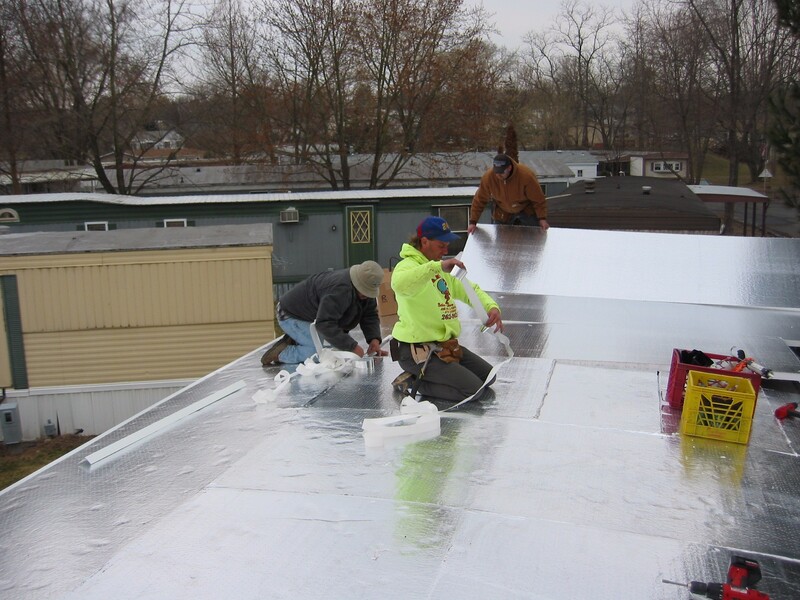 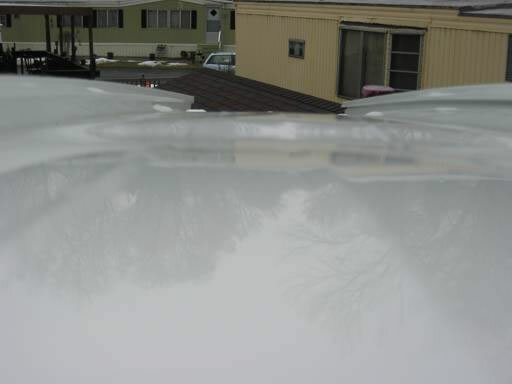 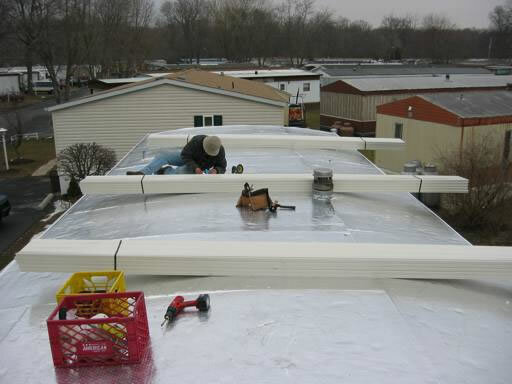 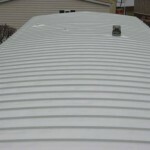 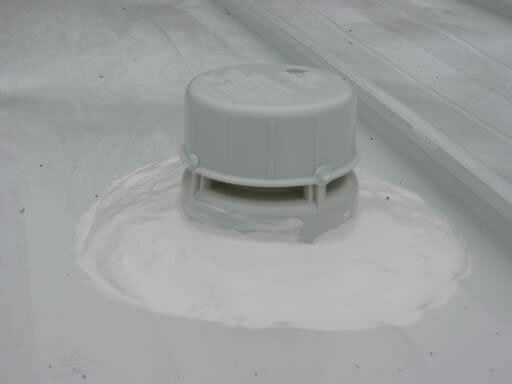 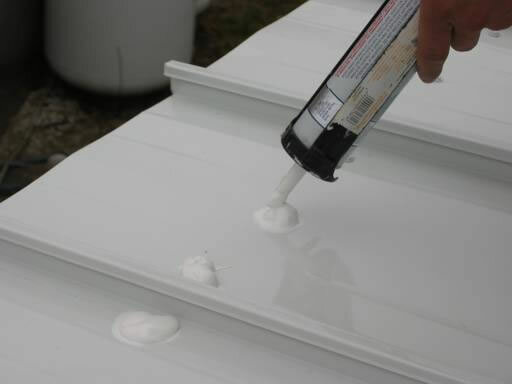 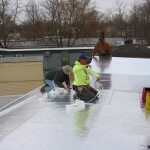 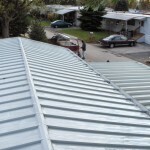 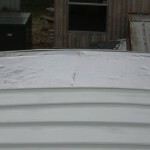 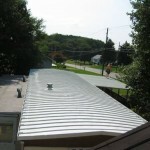 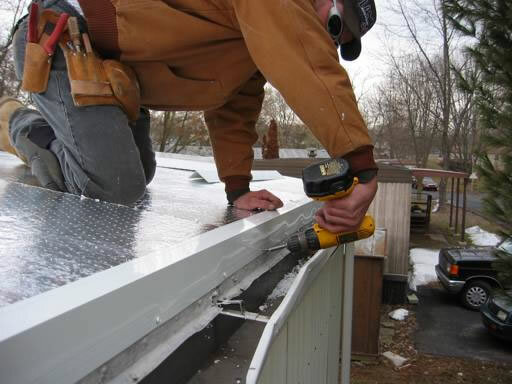 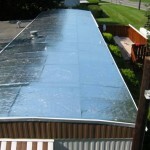 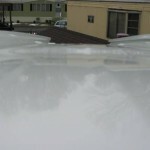 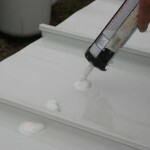 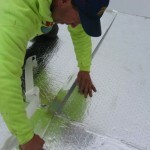 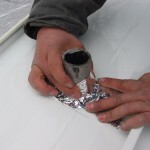 The foam is secured to the roof using a heavy gauge aluminum angle which is attached to the top sides of your home. 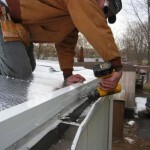 This perimeter angle also is what attaches your new roof to the home. 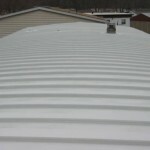 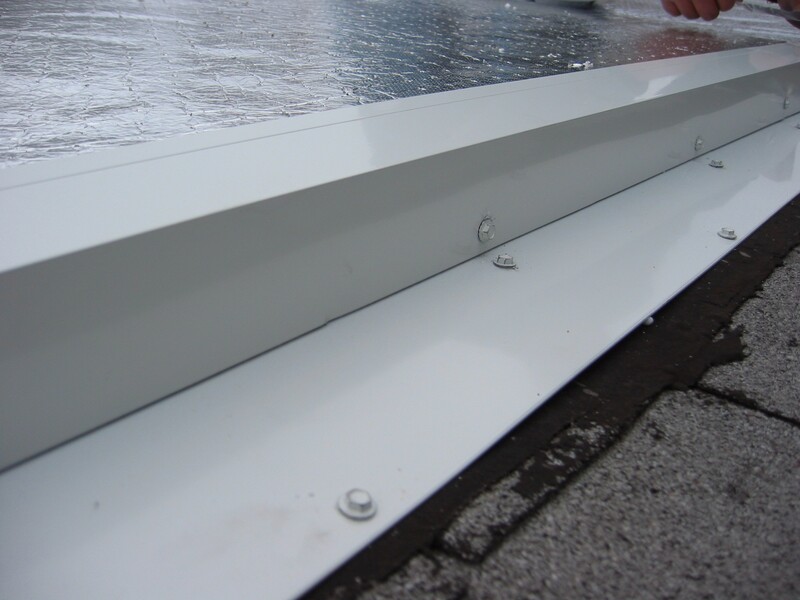 The maintenance free roof panels never need to be coated, they are one foot wide by the width of your roof. 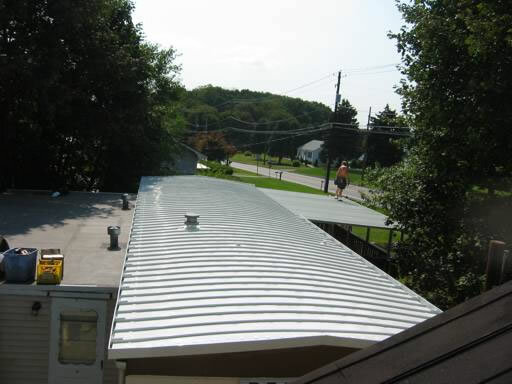 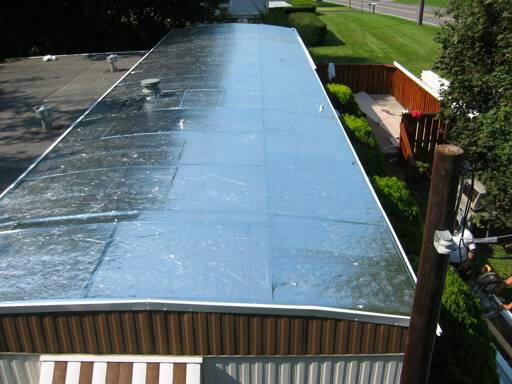 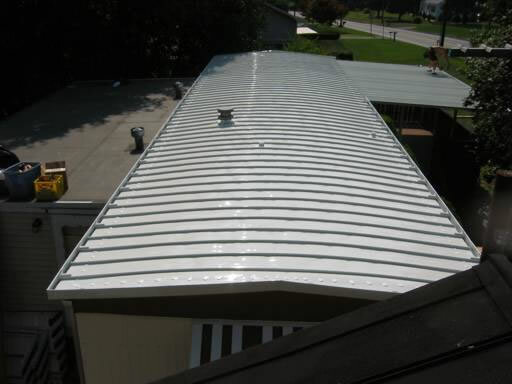 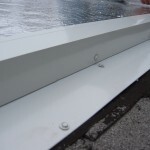 The roof panels provide a 6″ overhang on the sides of your home to prevent water from running down your home. 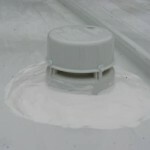 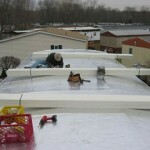 Along with our roof panels we will replace your current vent caps with new ones that are triple sealed. 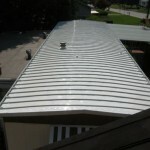 We offer an optional five inch trim that looks similar to the fascia on a house. 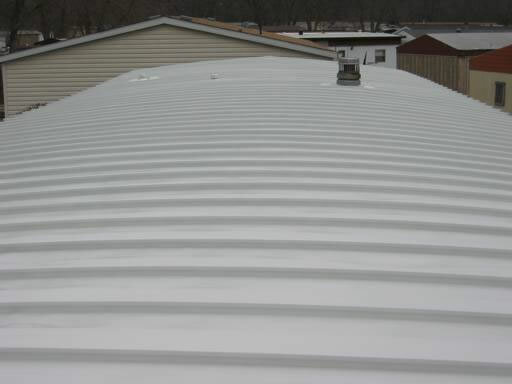 The trim comes in black, white, ivory or brown and goes around the outside of the roof providing your new roof with a great finished appearance. 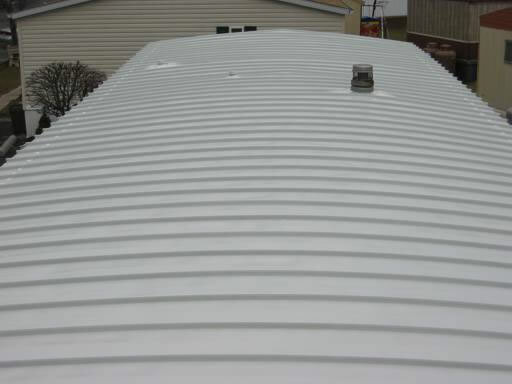 Sleep soundly knowing there is a perfect shield over your head!